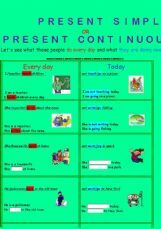 This is an exercise for third conditional. 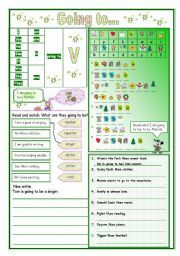 THIS IS A SIMPLE SPEAKING ACTIVITY WHERE CHILDREN PRACTISE ASKING QUESTIONS AND WRITING DOWN THE MISSING INFORMATION FOLLOWED BY ANOTHER WORKSHEET TO RECOGNIZE THE FLAGS AND COUNTRIES. ANSWER KEY INCLUDED. 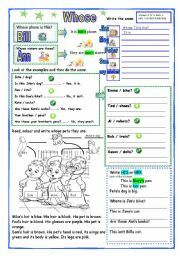 This worksheet is for elementary students to practise describing nouns which are in singular or plural. 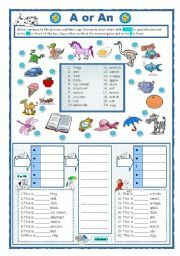 This is a very simple exercise for young learners to reinforce the basic vocabulary and to identify first letters of the words. 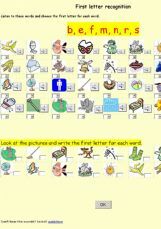 My students need this kind of exercise for their native alphabet is not Latin. 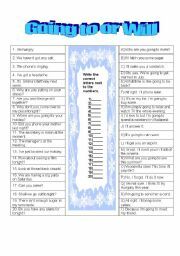 This exercise deals with quantities. Students practice how to apply rules for countable and uncountable nouns. 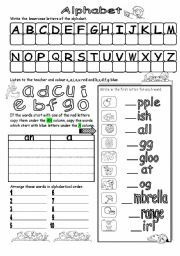 This exercise is for the little ones who are having their first steps in recognizing the letters and reading. 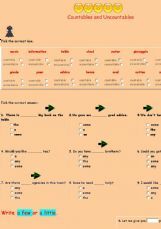 These are exercises for the revision for young learners - personal questions, question words WHO and WHAT, demonstratives and questions and answers with the verb LIKE. 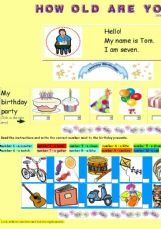 These exercises are for young learners to give them practice in reading and spelling common words and also to help them memorize them through repetition. WE have not covered all the letters of the alphabet yet this is why there are some letters missing. My students do need a lot of practice in this field. 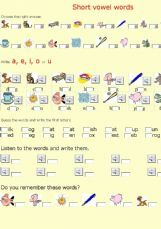 This exercise focuses on recognizing not only the first letters in words but the last letters as well. 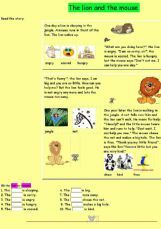 This is an easy reading for young learners to practice reading and comprehension as well as to acquire new vocabulary.